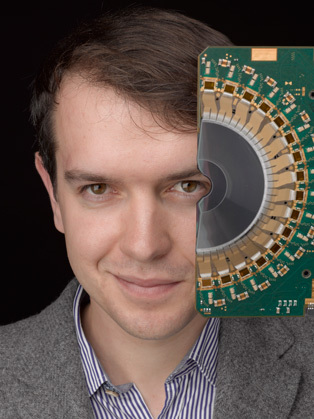 Harry Cliff is a young physicist who splits his time between researching cutting-edge particle physics at Cambridge and CERN, and communicating the mysteries of fundamental physics at London’s Science Museum. As the first Science Museum fellow, Harry is the curator of Collider, the first in a new series of blockbuster exhibitions centred on the greatest scientific endeavour of the modern age – the Large Hadron Collider. Harry’s immersive exhibition has won critical praise after opening in November 2013. Harry worked with a team drawn from theatre, museums, and design to transport visitors to CERN, conveying the thrill and drama of working on an experiment that is changing the way we think about the Universe. It is now set to tour in the UK and internationally. Harry speaks on the future of physics, big data analytics, particle physics, astrophysics, cosmology, space and the Sun, and the importance of innovation in business. Harry can provide a bespoke presentation and visuals to accompany any talk. Sublime... a superb introduction to the esoteric world of experimental particle physics... Art and science really do collide, with spectacular results. Harry did everything a good host should do excellently, building an instant rapport with the speaker, asking insightful, personal questions all the while keeping the speaker as the central focus.